"Pinocamphone (39.8%), iso-pinocamphone (28.6%), mertenyl ether ether (3.9%), beta-pinene (8.4%), alpha-pinene (0.9%), sabinene (1.8%), alph-terpineol (1.1%) and 1,8-cineol (0.6%)"
Found in Mediterranean area, Hyssop plant from which Hyssop oil is extracted has a woody, hairy stem, small lance-shaped green leaves & purple-blue flowers. Extracted from the flower part of the plant through steam distillation process, Hyssop Essential Oil is well known for easing sore throats caused by sinus issues. 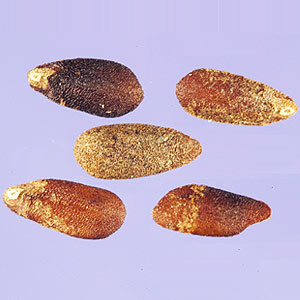 It also provides relief against bronchial spasms & thus helpful for asthma attacks. Angelica, Geranium, Clary sage, Orange, Melissa, Tangerine and Rosemary. 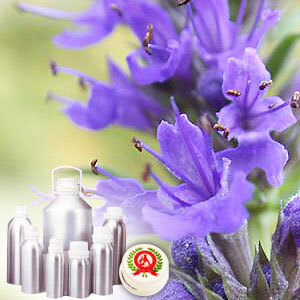 Therapeutic properties of Hyssop Essential Oil are as an anti-rheumatic, antispasmodic, antiseptic, carminative, digestive, cicatrizant, diuretic, expectorant, emmenagogue, nervine, sedative, tonic, stimulant and as a vulnerary agent.